Many Americans are expected to sign up for health insurance during the open enrollment period that falls between the beginning of November and the end of January. But that’s not the case for everyone. If you’re applying for Medicaid or insurance through CHIP, for example, you can sign up for coverage anytime. And if you’re eligible for Medicare, you’ll have a different enrollment period from everyone else. Here’s the lowdown on when you should apply for Medicare. Most Americans can’t qualify for Medicare until they’re preparing to turn 65. You can apply for Medicare for the first time during the initial enrollment period. This period begins during the three-month period before you turn 65 and ends during the three-month period after you turn 65. Medicare Part A is essentially hospital insurance. It covers services such as hospice care, home health services and hospital care. For most people, Part A coverage is premium-free (meaning that you don’t have to pay a monthly fee). Part B, on the other hand, always requires its recipients to pay a monthly premium. 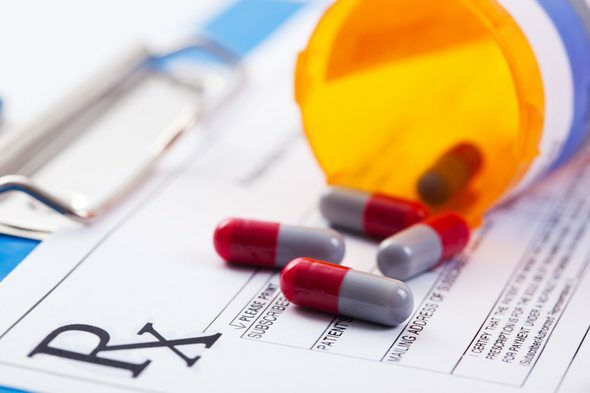 Part B is medical insurance that covers mental health services, regular doctor’s visits, hospital outpatient services and some prescription drugs. If you qualify for premium-free Part A (and it’s the only form of Medicare coverage you need), you can sign up during the initial enrollment period or any point after that. But if you need to purchase either Part A or Part B coverage (or both), it’s best to enroll in a plan during the initial enrollment period. Otherwise, you’ll have to wait until another enrollment period rolls around. Seniors who miss the initial enrollment period can sign up for Medicare for the first time during a special enrollment period. You may qualify for a special enrollment period if you’re part of a group health plan under an employer or a union. During that period, you can apply for Part A and/or Part B coverage if necessary. An eight-month special enrollment period may automatically kick in the month after you’re no longer eligible for your group plan. Unfortunately, it doesn’t apply to seniors who lose coverage under a COBRA or retiree health plan. Don’t qualify for a special enrollment period? You can sign up for Medicare during the general enrollment period (January 1 to March 31). But there are drawbacks to skipping the initial enrollment period. If you don’t apply for Medicare shortly before or after you turn 65, you may experience a gap in coverage. After all, your healthcare plan won’t begin until July 1. That could become an issue if you develop a serious condition or you suddenly need medical care. Plus, you may get hit with a penalty (or two). The Part B late enrollment penalty applies for as long as you have coverage. It can raise your monthly premium by as much as 10% for every 12 months that you failed to get Part B. Missing the initial enrollment period may raise your Part A premium by 10% (if you don’t qualify for premium-free Part A). You’ll be stuck with this extra charge for twice the number of years you failed to get coverage. If you’d rather receive Medicare from a private insurer (instead of the federal government), you can enroll in Part C. That’s the Medicare Advantage Plan. It’s an alternative to Original Medicare (Part A and Part B) and it provides healthcare coverage through HMO and PPO plans. Medicare Part D is outpatient prescription drug insurance. Like Part C, it’s also offered by private insurance companies. While it’s separate from Original Medicare, it’s meant to supplement that coverage. It can also add prescription drug coverage to other kinds of plans, like Medicare Private Fee-for-Service Plans. In most cases, Medicare Advantage Plans include their own drug coverage. Newly eligible seniors can enroll in Medicare Part C or Part D during the initial enrollment period. Your coverage will begin the month you turn 65 (on the first day) if you enroll within the three-month period before you turn 65. If you sign up after that, your coverage will begin one month after you enroll (on the first day). If you skip the initial enrollment period, you can sign up during the Medicare open enrollment period that runs from October 15 to December 7. Of course, you may have to pay a Part D late enrollment penalty if you avoid prescription drug coverage for 63 consecutive days after the initial enrollment period. It’s normally calculated by multiplying the number of months you didn’t have coverage by 1% of the national beneficiary premium. For 2017, that premium amount is $35.63. There’s more than one way to sign up for Medicare. 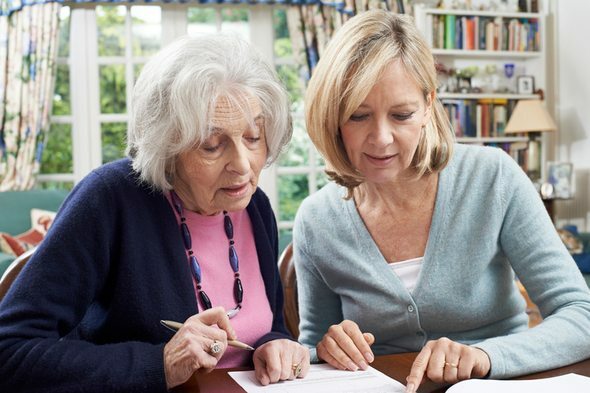 If you’re not ready to begin claiming Social Security benefits within the three-month period before you turn 65, you can apply for Medicare coverage online through the Social Security Administration’s website (ssa.gov). You can also call the SSA or visit a local office. If you automatically qualify for Part A and Part B (because you have a disability such as ALS or you’ve already begun receiving benefits from Social Security or the Railroad Retirement Board), you won’t have to sign up at all. Keep in mind that if you have healthcare coverage through an employer, you’ll need to find out whether you should sign up for Medicare (if you’re preparing to turn 65). If you’re trying to get drug coverage, you’ll need to choose a specific plan. You can enroll through the particular plan’s website or through the Medical Plan Finder online. You can also call Medicare or the plan you want to apply for. Most Medicare recipients don’t need to renew their coverage every year once they enroll. If you have Part C or Part D, however, you’ll need to find out whether your coverage will be automatically renewed. If you’re not happy with your Medicare coverage, don’t worry. You can make adjustments during the fall open enrollment period. If you want to switch from Part C to Original Medicare, you can do so during the Medicare Advantage Disenrollment Period (MADP) from January 1 to February 14. During this period, you can also sign up for Part D.
If you need to apply for Medicare, it’s a good idea to sign up during the initial enrollment period (unless you qualify for a special enrollment period). That’s the best way to avoid penalties and gaps in coverage. The enrollment rules differ for individuals under the age of 65 who qualify for Medicare due to a special circumstance (like a disability). You may be able to sign up during a special enrollment period. But it depends on your situation. To find out when you can sign up for Medicare, you’ll need to visit medicare.gov. Check your eligibility and then determine when to enroll. Note that if you’re already receiving Social Security benefits, you’ll be automatically enrolled and your coverage will start at the beginning of the month you turn 65. If you aren’t yet receiving Social Security Benefits, you’ll have to enroll — ideally during the initial enrollment period. 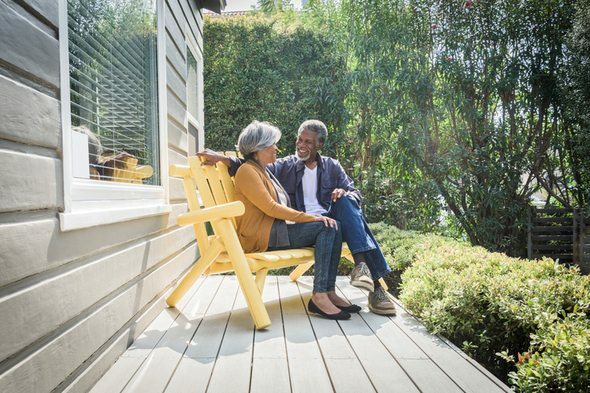 Ensuring you have adequate healthcare coverage is just one aspect of getting retirement ready. As you prepare for a comfortable retirement, consider working with financial advisor to ensure you have your ducks in a row and stay on track. The SmartAsset matching tool can help you find a person to work with to meet your needs. First you’ll answer a series of questions about your situation and goals. Then the program will narrow down your options from thousands of advisors to up to three registered investment advisors who suit your needs. You can then read their profiles to learn more about them, interview them on the phone or in person and choose who to work with in the future. This allows you to find a good fit while the program does much of the hard work for you.